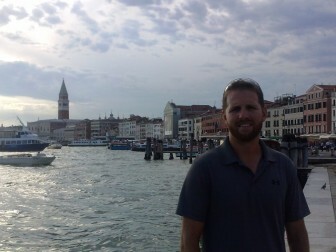 Former Austin resident Jeff Ferdinand was hesitant to move with his wife to Austin in 2014. Friends and family warned him about the violence and becoming the victim of a robbery. None of those things happened, recalled Ferdinand, a Chicago elementary schoolteacher who’s written a book about his time in Austin. 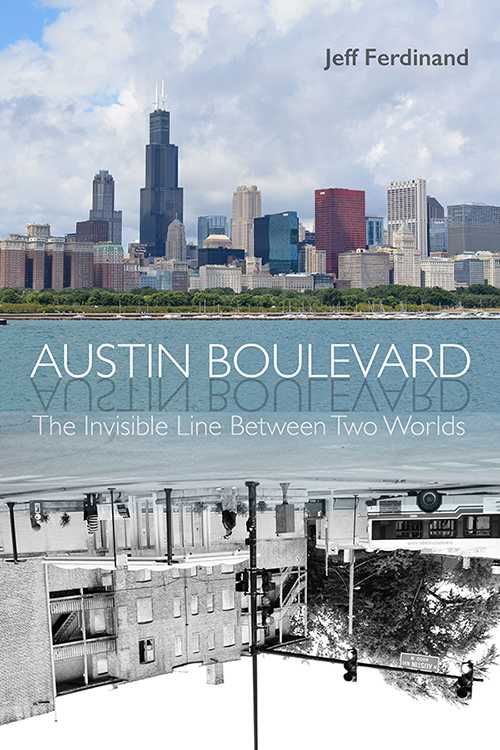 Ferdinand recently self-published Austin Boulevard: The Invisible Line between Two Worlds, his first book. He and his wife Elise lived on Austin Boulevard near Lake Street for two years. Ferdinand uses that experience to tell a larger story about the city’s historic racial divide between blacks and white residents. The book also explores those divisions by comparing Austin with the more affluent neighboring Oak Park, with the Austin Boulevard as the dividing line between the two communities. “It’s just crazy to me, still, the divide that exists right there and in many other places in the city,” said Ferdinand, a Mount Prospect native who now lives in Logan Square. Ferdinand, who teaches physical education at Bucktown’s Jonathan Burr Elementary School, volunteers at the Better Boys Foundation, 1512 S. Pulaski, on the West Side. He and his wife were looking for a new place to live, but Oak Park’s rent was too high, so they chose Austin. Despite the warnings, the couple decided to move to the neighborhood and judge it for themselves. Those fears disappeared once Ferdinand got to the know the area and its residents, he recalled. That revelation also led him to delve deeper into Oak Park’s community and history. Though it’s one of the most self-professed, racially diverse communities in the Chicago area, its history isn’t without racial strife, Ferdinand noted. “At one point, Oak Park was exclusively a white neighborhood. Percy Julian, the famous chemist, was one of the first black residents to move into Oak Park; his house was fire-bombed, and it was racially-motivated,” Ferdinand said of the 1950 incident. One in eight black men in their 20s are in jail or prison on any given day. Nearly half of American’s black population currently live in neighborhoods with no white residents. (Austin, with its roughly 98,000 residents – the city’s largest – is 85 percent black and only 4 percent white, according to the 2010 Census). In writing the book, Ferdinand said he wants to get people talking about these issues while also making readers more aware about Austin. The author published the book through Amazon. Since its debut, Ferdinand’s been trying to get the word out about the book, which he said has been a challenge as a self-publisher. He contacted Austin’s branch library at Race and Central, which agreed to host a book review Feb. 27 as part of its Black History Month events. Library Branch Manager Jo Anne Willis said she enjoyed the book and felt it was worth highlighting. “It’s a totally valuable resource. I’m really glad he had the interest and time to tell that story because it’s all kind of fascinating,” Willis said. Ferdinand said he’s thinking of a possible follow-up to the book. The May 16th On The Table discussion, one of thousands organized by The Chicago Community Trust, was held at Columbus Park Refectory. The statue, created by Austin artist Keith Brownlee, is located at 4922 W. Chicago Ave. It was unveiled Thursday, the last day of Black History Month. The new Oak Park facility, which features 18 one- and two- bedroom apartments, offers permanent housing to young mothers. That differs from the New Mom's main facility located nearby in Austin at 5317 W. Chicago Ave., where mothers can stay no more than two years.